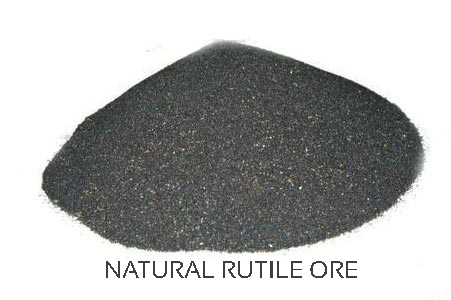 Natural Rutile Ore : Rasi Electrodes is one of the most efficient supplier of Natural Rutile Sand in India. The company is a Stockist and has a variety of Rutile grades to offer. The Rutile ore is from various locations around the Globe from the finest mines in the world. Grades available :- Rutile Grade	TiO2 % (min) Rutile Grade – I	95% Rutile Grade- II	93% Rutile Grade – III	92% Rutile Grade – IV	90% Rutile Grade – V	88% Rutile Grade – VI	85% Leucoxene Grade	77% The Prices varies from the percentage of TiO2 content in the Rutile sand. The Company also offers Packing in 2 Tons bag, 1 Ton Bag and 50 kgs bags.